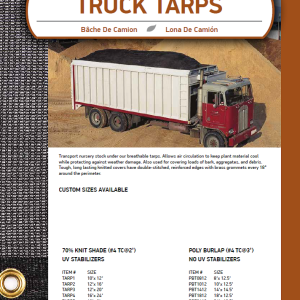 Truck Tarps are made from a mono-filament HDPE. Uses include yard debris and nursery stock transportation, to name a few. 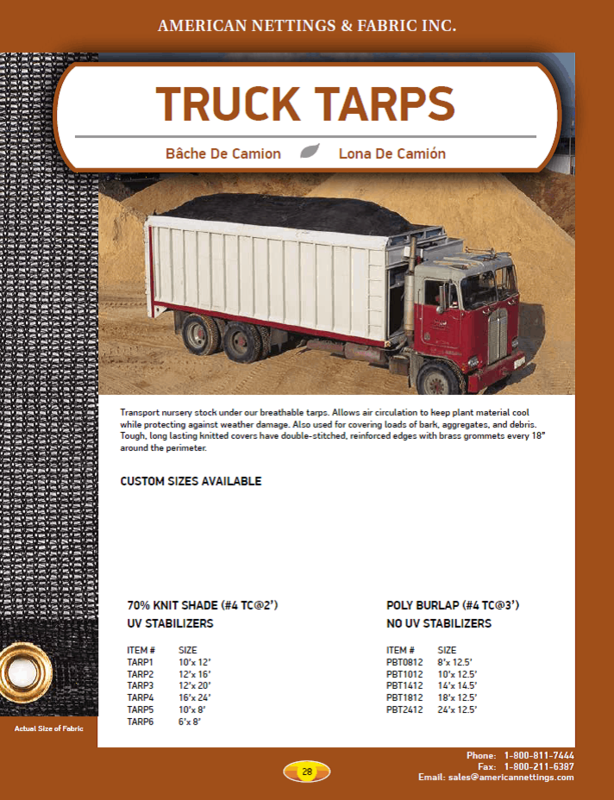 Every tarp is made from 65% knit shade with reinforced edges and grommets every 2′ all around. Please see American Knit Shade for products with similar applications. Minimum $50 order for all custom orders. For all custom orders, please call 1-800-811-7444 or contact us. Transport nursery stock under our breathable Truck Tarps. Allows air circulation to keep plant material cool while protecting against weather damage. 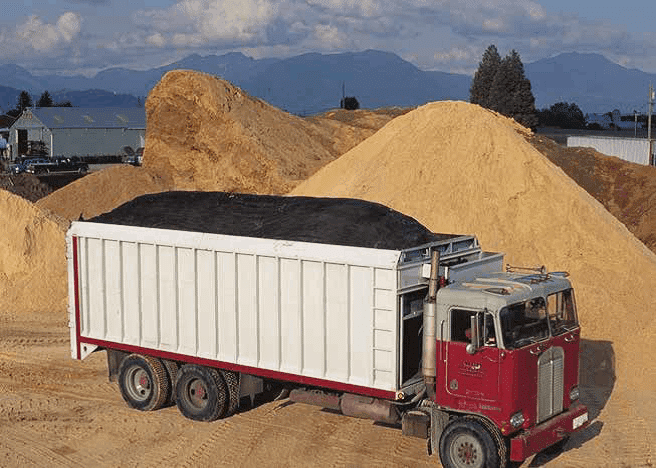 Also used for covering loads of bark, aggregates, and debris. Tough, long lasting knitted covers have double-stitched, reinforced edges with brass grommets every 24″ around perimeter.